Will your Glendale air conditioning system make it through the summer? Glendale AC Maintenance – Your air conditioner is a hard-working machine. It generates a lot of heat and has several moving parts. It requires fluids and lubricants. Air conditioners are exposed to the elements. They collect dust and dirt and are subject to extreme wear and tear. Common sense would tell you that in order to keep your air conditioning system working at maximum efficiency, it needs regular tune-ups and maintenance. 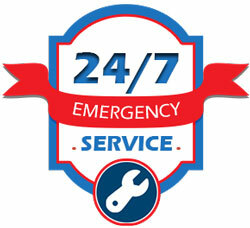 Why You Should Schedule a Maintenance for Your Glendale Air Conditioner? One hour is all it takes to complete a typical A/C tune-up and cleaning. An annual air conditioner tune-up is the easiest way to guarantee that your air conditioning system will run properly through the summer and stay at peak performance for years to come. To ensure worry-free, money-saving operation, schedule an air conditioning precision tune-up today! To schedule your A/C tune up, you can call us at (623) 463-7111 or use the form to the left to request an appointment online.